IT is the world’s longest running sci-fi show and an institution in British popular culture. Its hero has inspired generations and its villains jump out from movies, books, household merchandise, toys and music. 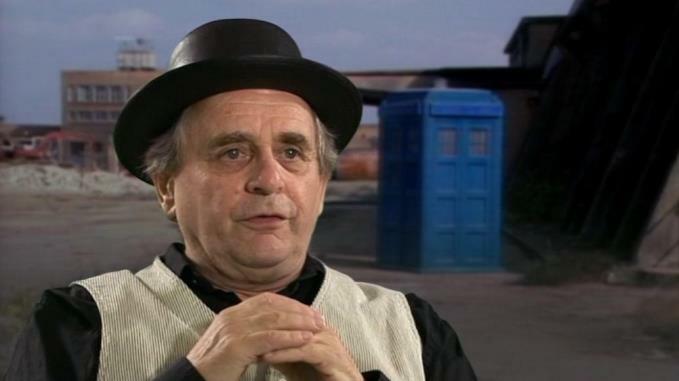 Even when it was cancelled in 1989, Doctor Who continued to exert an influence away from television, right up until its triumphant regeneration in 2005. Doctor Who is 53 years old today, or 900 and odd, depending on your point of view. The Timelord has been played by a dozen actors. 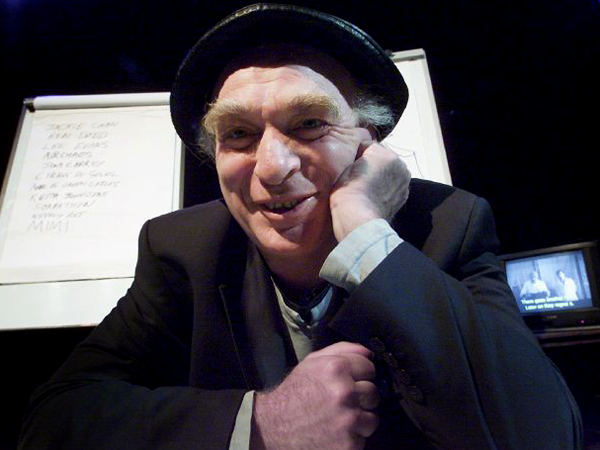 But then there was the one that got away - in this universe anyway - the late, great Ken Campbell. A brand new audio adventure exploring one of the biggest 'What ifs...?’ in Doctor Who history is out this week. Released on November 23 to coincide with the 53rd anniversary of the broadcast of the very first episode, The Lost Doctor does indeed star Mr C. The legendary artistic director of the Liverpool Everyman, famed for his productions of The Illuminatus! Trilogy, The Warp and much else besides, finally gets the role he was once denied. And he’s not letting the small matter of his death in 2008 get in the way. Here, the actor finally claims the helm of time and space in an original episode made here in Liverpool. The Lost Doctor is very much a love letter from the city to Ken, having been written, produced and performed here. It features local actors Paul Duckworth, Paula Simms and Helen Allmark, and strange sounds from local band I, Discordian. 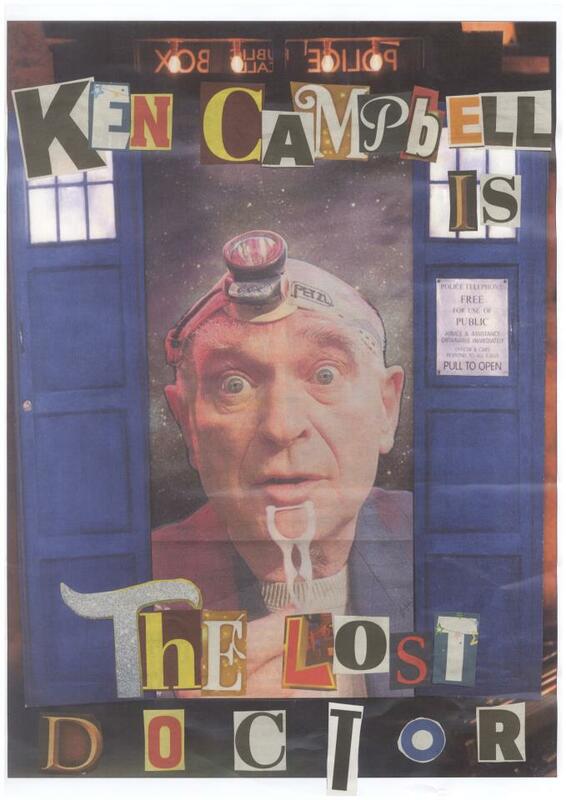 Ken Campbell was the Timelord who almost was but he lost out to Sylvester McCoy for the role of the Seventh Doctor back in 1987. As seasoned Confidential readers will know, MCoy had come to prominence when Campbell recruited him, alongside one-time Beatles manager Allan Williams, for the Ken Campbell Roadshow which played in non-traditional venues in places like Kirkby town centre in the 1970s. Years later Campbell auditioned for the role of The Doctor, but was considered too dark. Instead, his protégé donned the mantle and the rest, as they say is Timelord history. Once the script was finished, Calderbank approached Ken’s daughter, Daisy, who gave it her blessing and support. "Coincidentally, she was on her way to Liverpool in November 2014, to put on her production of Cosmic Trigger, the sequel to Illuminatus!," he explained. Ken’s Doctor has two companions: Luna and 23. Luna is Luna Wilson (Robert Anton Wilson’s daughter), whose brain was the first to be cryogenically frozen. "This is her brought back to life in the future," he said. "Paula Simms plays her, and I reckon she’s one of the best actors of her generation, even though she’ll kill me for saying that." 23 is a cybernetic organism from the planet Cyberia, and is played by longtime Ken collaborator Lisa Lovebucket. "I’m made up we’ve got a few folk who Ken truly loved involved, including Lisa, Jacqueline Haigh and Jeff Merrifield. Irving Rappaport appears in Episode 2. This gives the whole thing a real family affair feel," Calderbank added. From Episode 1 (another is in the pipeline already) we can expect "an honest-to-goodness episode of Dr Who, in a big finish audio stylee". And move over Daleks and Cybermen for a host of new villains, The Guild of Temporal Assassins, who are a bunch of time travelling baddies. Their leader is Skorpiana, and there’s a brother/sister duo, Terminus and Synchronus. As for the real world future, Episode 2 will be out in around a month. He added: "This is a truly unique Doctor Who fan project which brings Ken Campbell's eccentric incarnation-that-could-have-been to life. "Now how’s that for magic?" Listen to Episode 1 of ‘The Lost Doctor’ here. Twitter users can give their verdict using the hashtag #TheLostDoctor. Fancy having four MasterChef finalists cook for you?